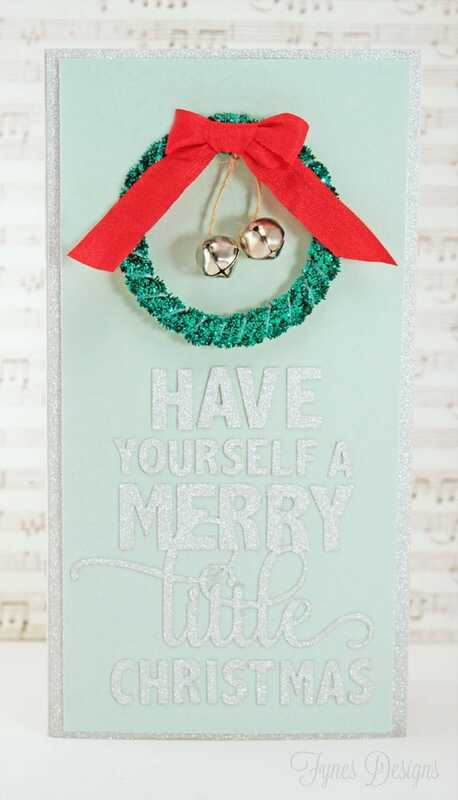 This week I’m happy to be a part of the May Arts Ribbonista Christmas Card Ideas hop! Its a full day of Holiday cards from the best of the best May Arts Ribbon design team! I experimented with lots of different ideas for making trees this year, like my DIY bottle brush trees, and my 99¢ funnel trees, but I came up with these simple skewer ribbon trees that can be made in about 1 minute! You’ll need a BBQ skewer, twine (I used May Arts twisted burlap ribbon ) or ribbon, and a May Arts satin cut-out star. 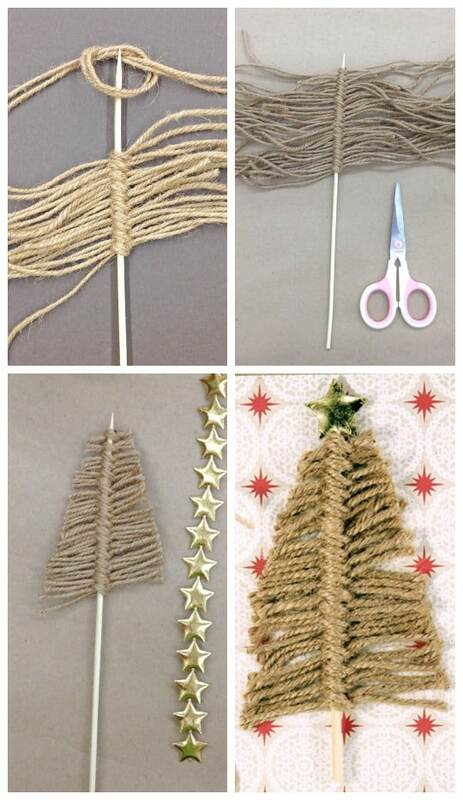 Cut strands of twine, knot in a single loop around the skewer, stacking one on top of the other, until the tree is at the desired height. Trim the tree and poke the pointy end of the skewer between the two layers of the star. 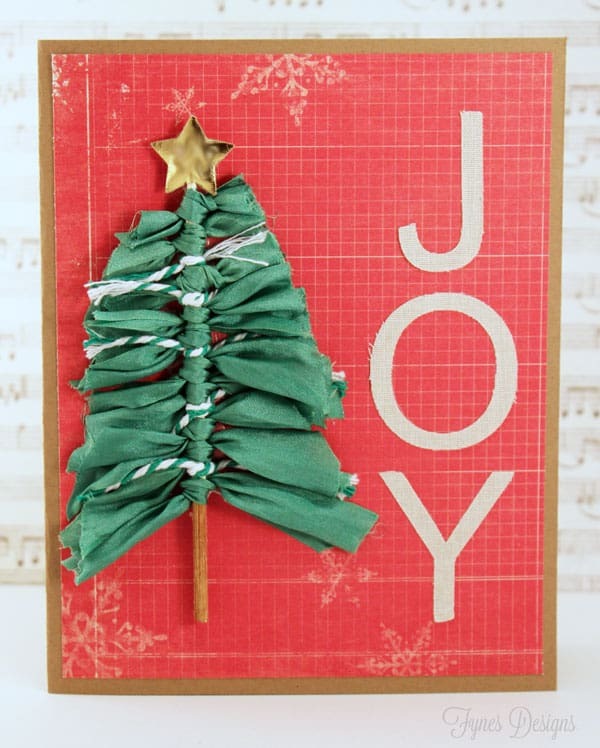 You can make these little trees with ANY ribbon. The one below I made with luscious May Arts silk ribbon and bakers twine. Can you think of an easier Christmas tree to make? Super easy eh?! And just because I love you all (to be honest I <3 this card too) I have to share this little Holiday wreath card as well. Cut a paper circle and wrap it in ribbon. Attach a small bow to cover the ends, viola a wreath! Leave a comment here, and along the way for your chance to WIN 3 spools of May Arts Ribbon from the Christmas collection! Need more Christmas card ideas and inspiration? Hop along to see what all these talented ladies have to offer! Do you know what you want for Christmas? Get some awesome ideas here! Very nice cards. I like how you made the trees. Great idea for the Christmas tree and the wreath. Will have to try that out today! 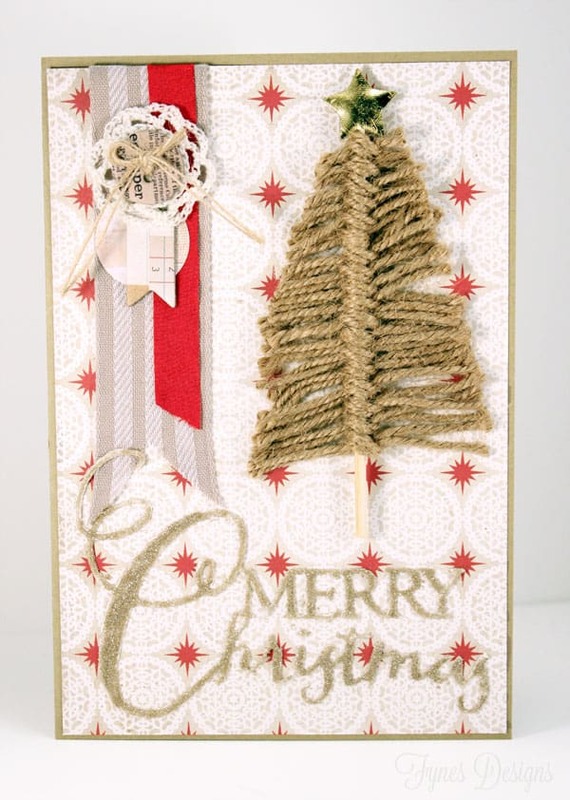 You are so clever and loved your fun Christmas trees made out of ribbon! Love them all. Great idea and super cute. Can’t wait to try it. Thanks 4 sharing. This is a great idea. It should be fairly fast and easy and it looks like something more involved. thanks for sharing this idea. I’m going to try it. Fantastic trees! Love the idea 🙂 Pinned! Love the skewer trees!great cards Virginia! I love how you did the Christmas trees. I really need to try this. Thanks. Yep. I love this idea. Simple, but totally awesome! Pinning! These are adorable. Handmade cards are such a nice touch! I love these Christmas cards, but did you have a hard time fitting them into regular envelopes? I made the cards pictured the next size up from A2, if you cut your cardstock a smidgen smaller, it should give the necessary leway. They actually don’t have as much dimension as you’d think! Good luck!